Invest in girls and change the world! When you give to Girl Scouts you are preparing girls to empower themselves to reach their fullest potential and build a better world. When girls succeed so does society. Get a live view of the construction on the Cathy Novinger Girl Scout Leadership Center. She's all Girl Scout. Are you? New PSA! 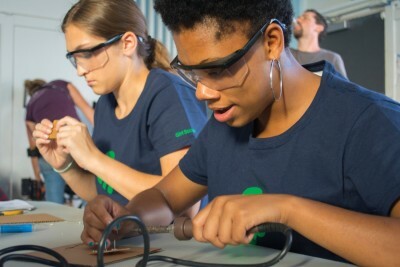 At Girl Scouts, girls are exploring what’s possible, turning dreams into reality, and changing the world. Here, you’ll take on leadership roles as you engage in all sorts of girl-led activities and develop skills you’ll use to make a difference. You'll unleash the confidence you need to pursue what you love and stand up for what you believe in. This year, we added new Journeys and badges in STEM and the outdoors! 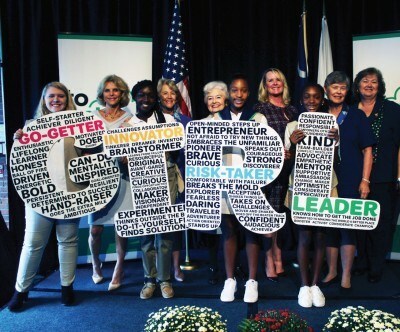 As we encourage girls to explore the outdoors with courage, confidence, and character with these new badges and Journeys, we are planning a celebration of female leadership in connection with the outdoors for this fall! We will come together as a community to celebrate the power of G.I.R.L. and the Girl Scout Difference. Watch for more details as we get closer to our Back in the Woods event! 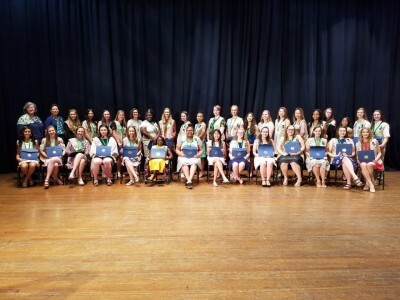 On Sunday, May 6, GSSC-MM honored 129 Silver Award Girl Scouts and 36 Gold Award Girl Scouts at the 2018 Gold & Silver Award Ceremony. Earning the Gold and Silver Award means much more than a certificate and pin. 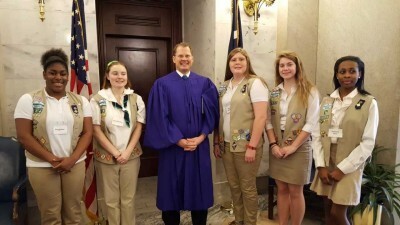 The Gold and Silver Awards, the highest honors that a Girl Scout can earn, represents how a Girl Scout can be a Go-Getter to create a solution for change, an Innovator to uniquely implement a new method, a Risk Taker to go beyond barriers, and a Leader who is focused on results.